Thorius are teeny-tiny salamanders found in Mexico. First discovered 150 years ago, scientists thought there was only one species. Thanks to modern molecular techniques, we now know there are 29 species—three of which were just described last week in the journal PeerJ. Similar to other Thorius species, the newly-discovered Thorius pinicola (meaning pine-dwelling minute salamander), Thorius longicaudus (long-tailed minute salamander), and Thorius tlaxiacus (heroic minute salamander) are no bigger than a matchstick as adults. Their miniaturized bodies are highly unusual for vertebrates, with structures for feeding and reproduction being among the most prominent (makes sense). Amphibians are among the most threatened animals on the planet, and in fact, Thorius may be the world’s most endangered genus of amphibians. Almost all of the species—including the three new ones—are regarded as endangered or critically endangered by the International Union for the Conservation of Nature (IUCN). The authors say these findings underscore the large number of amphibian species that remain to be discovered and formally described before they are lost—or hopefully saved. Heading farther south, we encounter two newly-described lizards from the Andean highlands of southern Chile. Liolaemus janequeoae and Liolaemus leftrarui are each named after courageous Mapuche tribal chiefs who fought against colonial Spaniards in the Arauco War. Janequeo was a prominent chief who lost her partner during the war, after he was caught and tortured to death by the colonial Spaniards. She is said to have played a leading role in the Battle of Fort Puchunqui. Leftraru was taken at the age of 11 to become a servant to the enemy’s governor, where he learned the military strategy of the Spanish. He later managed to escape, join his people in the war, and win the most remarkable victories over the Spaniards. The warrior lizards reach around three inches maximum (seven to eight centimeters). Both species are brown, but Liolaemus leftrarui is speckled with small blue and green markings. 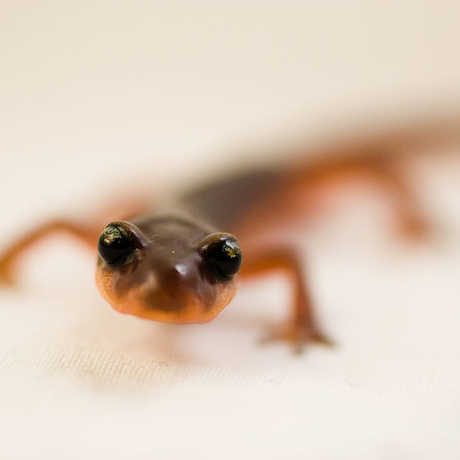 How important are salamanders to their ecosystem and the planet? Very!